What can you say? People love Mario. After previously surpassing 40 million downloads in its first four days since becoming available on the App Store, the plumber has already taken another milestone. Nintendo of Europe has announced that Super Mario Run has now reached 50 million downloads worldwide. To celebrate this accomplishment Nintendo is giving away 10 Rally Tickets to every player. To claim this gift, load up the app and speak to the red toad in the top-left hand corner of the screen; make sure you have enough room as you can only own 99 tickets at one time. Currently, in the UK, the game sits top of the app store charts for free downloads, however for top grossing the game has slipped down to sixth place; interestingly Pokémon GO is placed directly above in fifth position. With the average review at 2.5 stars, Nintendo will be looking to improve that overall rating as it heads for 60 million downloads - there are some important areas to address. 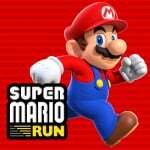 What do you think of Super Mario Run? Will it reach 60 million downloads? It will reach 60 million downloads. Nintendo are expecting 100 million on ios. Interesting that they say it will come to Android in 2017, with 2017 only just over a week away. We are expecting a flash announcement on this at any time..
Great game. Not usually a mobile gamer but this game is really good. 100% the game already. Where are all the people who said this would fail cause it wasn't out on android yet? I can only assume they decided to make the game free to download to inflate download numbers, but thanks to the idiots that expected not to pay anything, it's tanking their review scores. That and the online requirement, of course. Can't imagine it was worth it in the end. @MarioPhD I guess you're right. But the game being on a digital store means they can always update the pricing and the game any time they want. I hope the price gets lowered by the time it gets on Android, and the online requirements loosened. Just imagine what that number would be if it was released on android as well ., I'm waiting Nintendo. Who are these people? There are several hundred million Apple users! No one doubted this. You are making up things. Stupid! Run ! Mario, Run ! Run for 100 Million ! ...and 49 million of those deleted the app once they realized they had to pay money. @MarioPhD I think the App is more about awareness than people buying it. Even if people don't pay for it they'll have played some of it and might even be more receptive the next time a Mario game is revealed for Nintendo's own hardware. Where are all those investors? Still rubbing twigs together in the woods? SMR should get a nice Christmas bump with people getting phones, iPads and iTunes gift cards. The botched free-then-pay model that allowed for those unfairly crappy reviews BETTER be cured for the Android release. Release a free demo and be unapologetic about the actual separate app being $10 with no additional fees or micro transactions. Then SMR will get its 100M downloads. Millions of free downloads! Not making as much money as anticipated! Disappointing. Nintendo dropped the ball! I don't understand how Nintendo didn't release that on Android sooner. The numbers would have been even more impressive and would have made an even bigger boom. When they release this on Android much later down the line, it will already be a months old game, and even if Android people do show interest by downloading it in just as great numbers, it won't really prove the point of a Mario game on mobile nearly as much because downloads will have happened over a much longer period of time. I understand that Android is a trickier platform, cause there are so many chipsets, so many brands of phones with their tweaked Android versions, etc out there... but other devs do not seem to suffer from that same struggle. It comes with the territory, and Android is predominant out there, so not supporting it from the get go seems like a too stupid thing to do for Nintendo not to realise. I wouldn't be surprised if it turned out that Apple bought that timed exclusive. Mario is big after all. It still is to this day. To be the first to get it, I bet they'd be ready to pay a pretty penny. @Tyranexx perfect Nintendolife comment! You have to say "only 50 million" to make it sound smaller and more negative though. "and 49 million of those deleted the app once they realized they had to pay money"
The only downloads that matter are the ones from people who are actually willing to spend. The whole reason those people deleted it was because they're el cheapo leeches and wouldn't have contributed one red cent to Nintendo's bottom line. Let em delete it. Not like they were gonna spend anyways. For the record though, I'm pretty sure there's more than just 1 million people who kept it, given the game saw $14 million in revenue in just the first 3 days. Pretty sure Mario is still a bigger name than Pokemon. I know Pokemon is also huge, but the mainline Pokemon games tend to sell 12-15m. NSMB on DS and Wii sold 30m each! Mario Run had the potential to be an even bigger hit than Pokemon Go (and no doubt a fraction of the development cost) but it does look like Nintendo has dented it's success slightly by pricing it so high. Yeah, I know it's not a huge amount at the end of the day as people love to point out, but it's more expensive than a lot of mobile games that are much better than it. Saying other games are cheaper is a fair argument. Saying other games are better... not so much. There's one undeniable truth here, and that's that Mario Run is one of the best games to ever grace mobile. I mean, Mario is one of the best games on consoles... stacked against mobile games it looks like a juggernaut. I have the Rayman games... they're not as good. Rayman was never as good as Mario, and mobile is no exception. Not to mention the Adventures game has cool down timers and micro transactions. Even Jungle Run cost $3 and has micro transactions to unlock all the stages, among others. Even if the game was as good, it gets ruined by all that nonsense. So really, The cost is no different than any other game... it's just a matter of when you're going to pay it and in what manner. You can pay $10 up front, or $3 up front and $6 later in micro transactions (potentially far more). Or you can pay that $10 off in cooldown timers. But one way or another that pipers's gotta get paid. I don't know where they are but I know where they were.. on this here website. Although all evidence shows that IOS users spend far more money than Android users on apps with less market share, they were blinded by their fanboyism. Apps on IOS were reported to bring in 75% more dosh than Android. That's huge. Granted that being release on both at the same time was the best option, going exclusive with IOS will always be way better than going exclusive Android at this point in time. The figures don't lie. On topic: It's those that spend money on the game that really matter. That's important to Nintendo going forward. I am not a fan of mobile (the free play model, at least), but the amount of money that space makes vs consoles is unreal. I can see why companies want a slice of that pie. 50 million downloads, not paid users! Well over 500,000,000 iPhones/iPads out there. Not a large percentage! Do the math! Should reach 100 million downloads by the end of January. @DonaldTrump: True, but the monetary figures show that it's still doing very well. $14 million in three days isn't anything to sniff at. I've said it numerous times before, but I'll say it again: I think this game is great. I've been a proper Mario gamer since the early 90's and this is every bit a proper Mario game as all the others on Nintendo's consoles. It's been tailored to fit the platform it's on, which is precisely what Mario does best. I'm glad Nintendo are sticking to their guns and not changing the pricing model. It's worth all eight of those single pound coins. That's right, eight! The morons still have two fingers left when trying to count it on their hands. Nintendo should not devalue their IP to pander to these entitled idiots. 50m downloads is great, regardless what % of total users that equates to, but ultimately it's how much that converts into £m (or Yen) that really matters. @DonaldTrump As has already been commented, there were lots of people moaning that this was not coming straight to android and that it would fail because of that. I'd call you stupid too but it's Christmas and you're not a very good troll so... Merry Christmas! It didn't come to Android on launch because Apple gave Nintendo a payout for exclusivity! Very obvious! So 50 million downloads huh, had it also came out on Androids that number would had double. Will likely triple too if Ouya wasn't dead. @Incarta I don't know anyone that uses an Iphone.